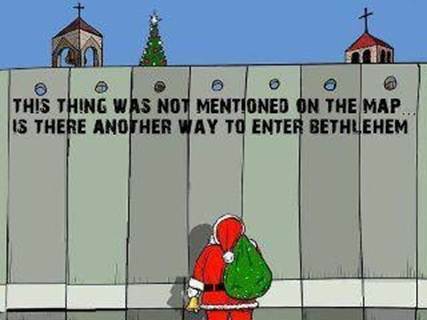 As someone brought up in the Church of England (see my personal message at the end of the piece) it is a matter of personal sadness to relate on Christmas Day the following report on how supposedly humanitarian charities and non-governmental organisations ruthlessly abuse Christmas to advance that most pernicious of all bigotries, hatred of the Jewish state of Israel. The honourable and invaluable watchdog organisation NGO Monitor, has just released a report entitled "Tis the Season 2013: How Anti-Israel NGOs Manipulate Christmas." It is always wise in such circumstances to let the experts who have done the research do most of the talking, so I will quote liberally from their overview, while adding some observations of my own. "As in previous years, NGOs (non-government organizations) and well-known charities are exploiting the 2013 Christmas season with political warfare against Israel. "Groups such as Christian Aid (UK), Sabeel, War on Want (UK), Amos Trust, Israel Committee Against House Demolitions (ICAHD), and Adalah-NY [not affiliated with Aadalah in Israel] are again using theological themes to advance immoral anti-Israel campaigns, boycotts (BDS), and, in some cases, antisemitism. 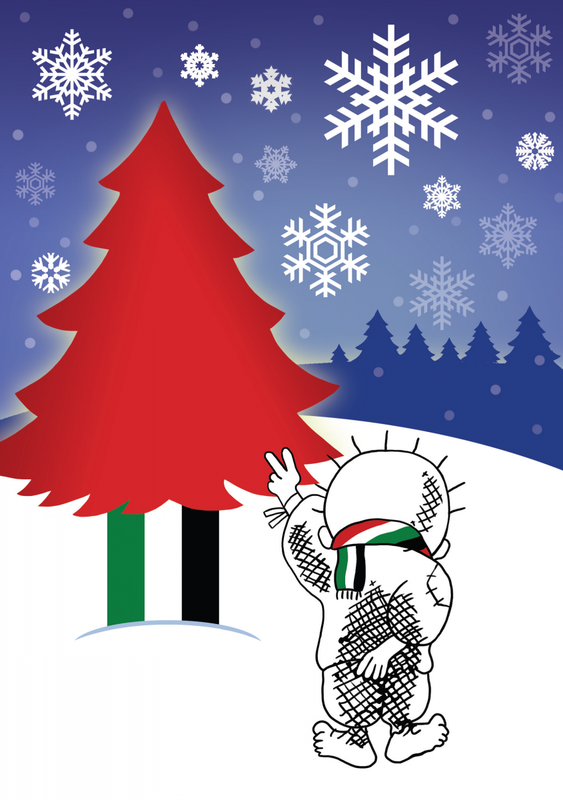 "Kairos Palestine published a 50-page “Christmas 2013” pamphlet, with contributions from radical anti-Israel NGOs Badil, Applied Research Institute Jerusalem (ARIJ), St. Yves, Addameer, and Defence for Children International – Palestine Section (DCIPS). "These organizations often use offensive and inflammatory rhetoric in Christmas carols, holiday messages and cards, nativity scenes, and other items. This year, verses and prayers that promote anti-Israel themes are prominent, polarizing Jewish-Christian relations and exacerbating an already complex and violent conflict." Plainly, this is all part of the global demonisation agenda against the Jewish state which having failed by traditional military means to destroy Israel now concentrates on using international institutions such as the United Nations and its related sub-groups, pseudo-academic institutions advocating boycotts and non-Jewish religious denominations using theological themes and landmark events (like Christmas) to turn Israel into a pariah state. Context, such as Palestinian and broader Muslim-world rejectionism and terrorist violence, is routinely omitted as we have reported on The Commentator on numerous occasions. Every attempt by Israel to defend itself from unprovoked aggression is almost always inverted to blame the victim, Israel, rather than the aggressor, the terrorists who always aim to maim or kill Israeli civilians -- men, women, and children: the more the better, as the ecstatic celebrations in Palestinian towns and villages testify to whenever such atrocities are perpetrated. It should be a cause of profound concern that Western taxpayers are footing the bill for the demonisation campaign this Christmas, and, of course, all the year round. "Many of these NGOs are funded by European and other governments. Sabeel is funded by Sweden (via Diakonia) and the Netherlands (via ICCO and Kerk in Actie); War on Want by UK, EU, and Ireland; Christian Aid by UK, Ireland, Norway, and EU. As funders, these governments are enablers and share the moral responsibility for the actions of the NGOs," the report says. Quite so. And these are our governments. As citizens of democratic countries we can write to our elected representatives and ask them to explain themselves; and threaten not to vote for them if we do not get a satisfactory response. "During the current holiday season, political advocacy organizations give prominence to religious themes and verses, recalling a long history of classical antisemitism. The ludicrously dishonest "ethnic cleansing" of the Israeli Bedouin issue, dealt with expertly by Professor Michael Curtis here is also a predictable part of the mix. "In a separate Christmas appeal sent out to potential donors, Christian Aid also promotes the work of NGO Palestinian Agricultural Relief Committees (PARC). While PARC operates a range of agricultural, economic and social projects in the West Bank and Gaza, primarily devoted to rural development, it is also involved in political advocacy campaigns, including support for BDS, utilizing demonizing rhetoric." "In 2009, a group of thirteen Palestinian Christian clergy drafted the Kairos Palestine Document. It calls for BDS [Boycott, Divestment, Sanctions] against Israel, denies the Jewish historical connection to Israel in theological terms, and blames Israel solely for the continuation of the conflict. Its purpose is to rally churches globally to support BDS, delegitimization, and demonization directed at the State of Israel. "This year, Kairos Palestine published a 50-page “Christmas 2013” pamphlet, slated to be used as an educational hub for religious groups and gatherings. This pamphlet also serves as a primary vehicle for anti-Israel holiday messages for websites and churches, including the Presbyterian Mission Agency (USA)." It even comes down to the Christmas cards that those of us of a Christian background send to our families and friends. In closing, a short personal message. This morning, my parents went to a Christmas service in one of those characteristically sparsely decorated, stone-built Anglican churches in a small town in the county of Yorkshire where I was born and brought up. I was baptised in that church. Members and friends of my family had their funeral services there. For others, it was the place of their marriage. I asked my mother what the service was like. "Uplifting and joyous," she said. At one point, as is habitual, people who didn't know each other turned to those on the pews behind to shake hands, wish them a Merry Christmas and all the very best in this season of goodwill. To abuse that most admirable of Christian traditions, and turn Christmas into a message of hate, is not just anti-Semitic; it is the grossest of insults to Christians as well.